Just a few years ago, an attractive rental price in Downtown Detroit was around $2 per square foot. Today, rental prices in the same neighborhoods are trending closer to $3 per foot, according to a recent market report published in Curbed Detroit. This report, which was conducted by Broder & Sachse Real Estate, found that rental fees are rising steadily across Downtown Detroit, with occupancy rates exceeding 95 percent in many areas. Grand Circus Park, which has an estimated occupancy rate of about 98 percent, is still home to some of the highest rent prices in Downtown Detroit. In other areas like Lafayette Park, however, the average rent per square foot is much lower at around $1.51. Newer developments are generally commanding higher rent prices in Downtown Detroit, but these properties also tend to have much lower occupancy rates than older homes in the area. The Orleans Landing Apartments, for example, have an average rent price of $3.21 per square foot but an occupancy rate of just 57 percent. Despite this recent upward trend, it’s important to note that rent prices still account for a relatively small percentage of the average annual salary in Downtown Detroit. Earlier this year, BusinessStudent.com identified Detroit as the third most cost-effective city in the nation for renters based on a comparison of its average business salary to the cost of a 2-bedroom apartment. 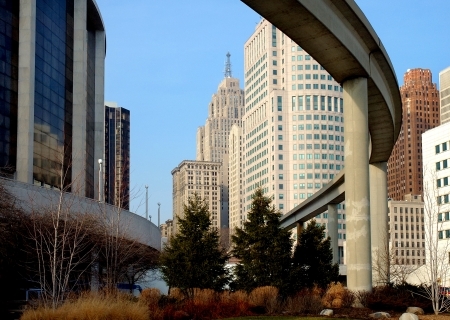 Stay tuned for the latest updates from our blog to learn more about the legal an economic forces driving the changing rental market in Detroit.